There are many verses that we could have chosen for our short-term missions trip to Montevideo, Uruguay, but we chose this verse because it reminds us that it is never about what we do, but rather what Christ has done and is doing. We started out our three weeks unsure of what they would hold, yet being constantly reminded of God’s goodness and faithfulness to us. 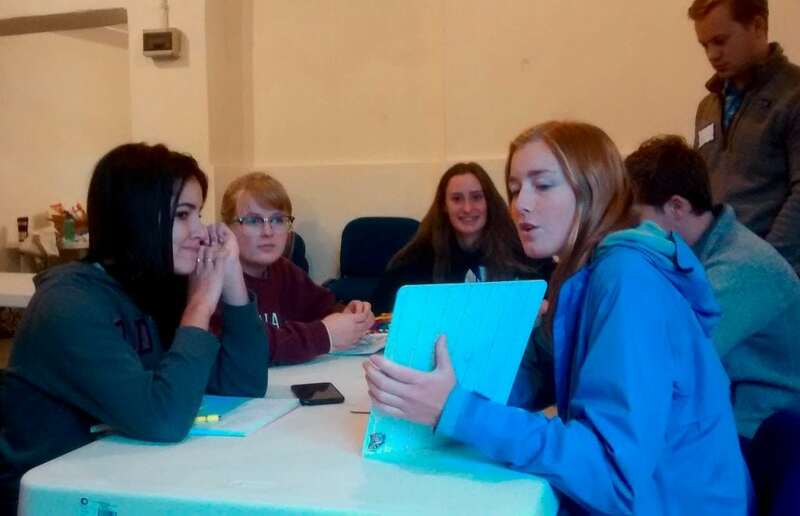 Our first week in Uruguay was occupied with handing out flyers for the English Club; babysitting; and cleaning the missionaries’ homes. There was much excitement as the English Club team would be arriving the following week to help teach the English club. Our second week, we helped in the kitchen making lunch for the team and helping with the English Club. This year, the English Club had two different periods: one for children (8-12) and one for adults (13+). During the children’s portion of the club, we helped clean, serve snacks, and teach a young Cuban girl English. We also enjoyed interacting with the adult students. It was encouraging to see that the Lord had already been active in the lives of some of the participants. We also had the joy of welcoming the English Club students who returned for worship on Sunday. The third week, we did some painting, babysitting, and cleaning. We also enjoyed a day trip with our host family, the Richlines, to see more of Uruguay outside the city of Montevideo. Stay flexible and be willing to change your schedule. Remember that you are there to work, but never forget that creating relationships with new people is also key. The purpose of a missions trip is to share the gospel, and one of the best ways to share the gospel is to first build a strong relationship. We so enjoyed our time spent in Uruguay. The most meaningful moments were time spent getting to know the missionaries, their families, and those who came to English Club.